In pursuit of healthy recipes, I am now attempting a few simple cookie recipes without raising agents. You are here for a no baking powder cookie recipe as well. Worry not! I am making a collection of such cookie and cake recipes that do not use raising agents. I have tried out a few and shall continue to update the page as I go along. 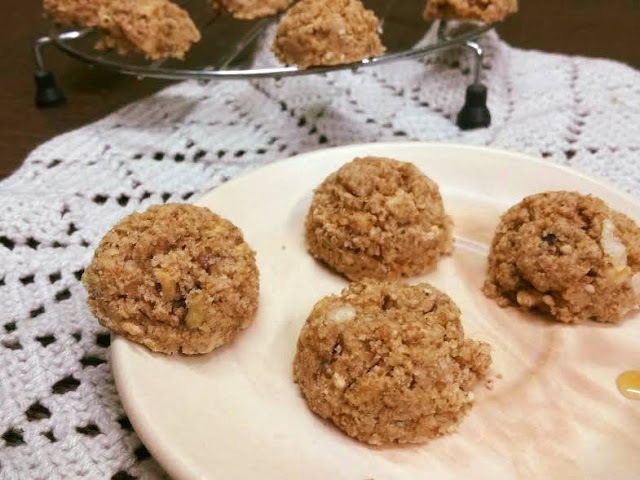 This page is all about healthy nankhatai - say oats nankhatai, and atta nankhatai. 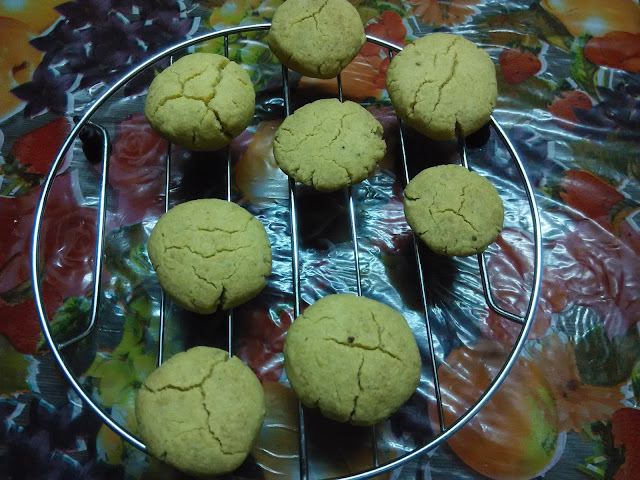 So let's come back to the atta nankhatai recipe without baking powder. I would have never thought of it a year back. But these days, I am experimenting with a few bakes to make my previous baked goodies healthier. Let's see what I have come up with here in this new atta oats nankhatai recipe without baking soda or powder. Mix sugar or jaggery with butter/ghee and oil in a bowl and whisk until the mix turns light and fluffy. Throw in cardamom powder. Mix. Make sure the wet ingredient mix looks light. Add whole wheat flour and gather all ingredients. If the dough looks dry, please add milk - half teaspoon at a time. We just need to collect the dough. DO NOT KNEAD. Kneading will create gluten, which will make your nankhatai chewy. Add in finely chopped or ground nuts if you want. Preheat the oven/microwave convection at 180 degrees for 10 mts. Roll out into lemon-sized balls. Or you may take a small round spoon or ice cream scoop - fill it with dough and place each ball on the baking tray - lined evenly. Just be careful with the dough. It is more crumbly. 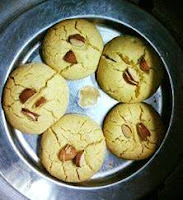 Bake the atta nankhatais for 15-18 mts. Keep an eye on your nankhatais after 15 mts. The temperature settings vary from oven to oven - some ovens may need 20 mts as well. Allow the nankhatai to cool down completely and carefully store them in an airtight jar. Upon cooling, there is less risk of the oats nankhatai crumbling. I did not add milk for binding, so my nankhatais were crumbling. So I realized adding milk should help bind the nankhatais properly. 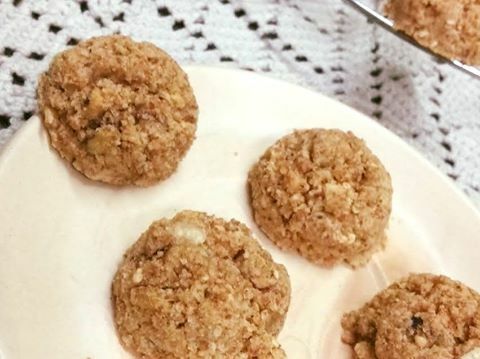 But this is one oats nankhatai recipe that you can enjoy guilt free. 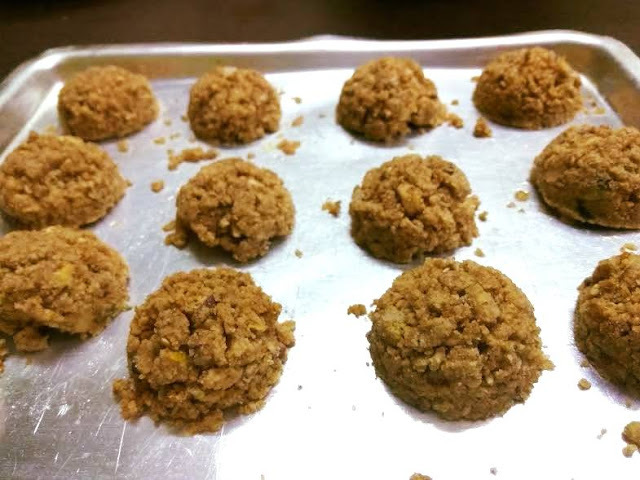 It's time to indulge in healthy, melt-in-the-mouth oats wheat nankhatais. Atta nankhatais? Surprised, are you? 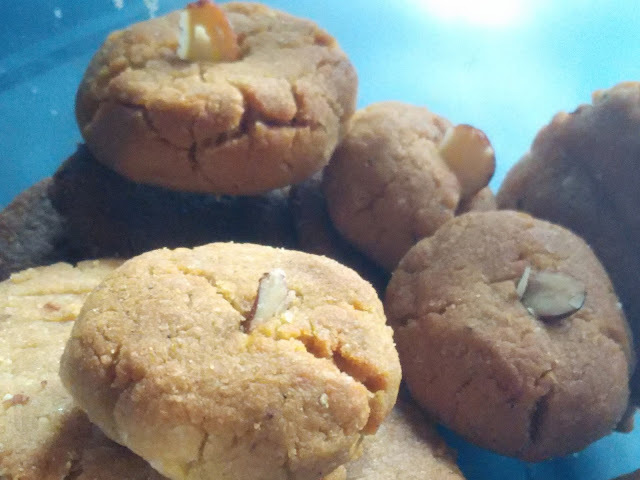 Of course, you have heard about besan nankhatai and maida nankhatai, but nankhatai with atta might make you a little surprised. But worry not! I have given this recipe a try and found that this does make a happy happy treat for me. Whole wheat flour cookies anyone? If you are a cookie lover as well as a health freak, then you have got to find a balance between both. While baked goodies aren't the best thing on earth to savor for health freaks, you can certainly enjoy these bakery items guilt free on some days. My funda is eat one cookie with a cup of tea. After all, one never hurts.!! Nankhatais are a hot favorite in my home. In fact, I have been in love with besan nankhatais since childhood. After having tried nankhatais with chickpea biscuit recipe, I attempted using wheat, and the results do not disappoint either. After all, whole wheat flour cookies get an edge over maida (all-purpose flour/refined flour/white flour). 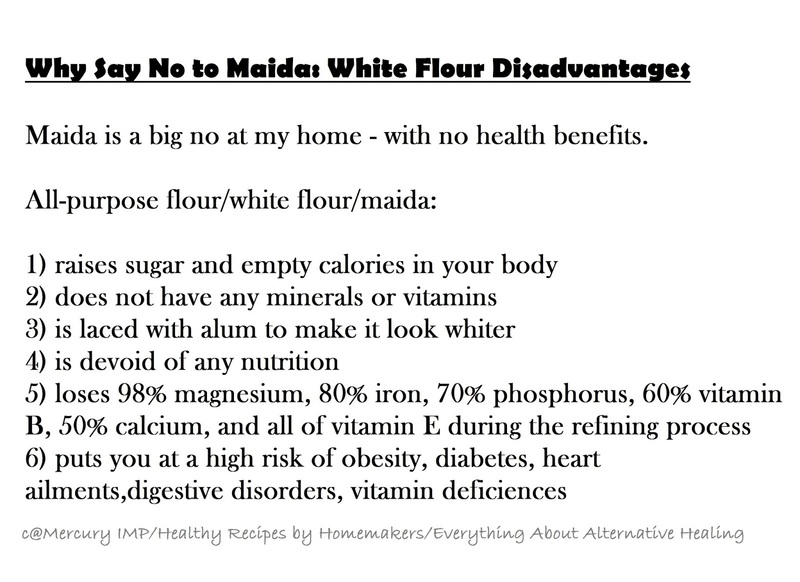 I have stopped buying white flour for some time now. 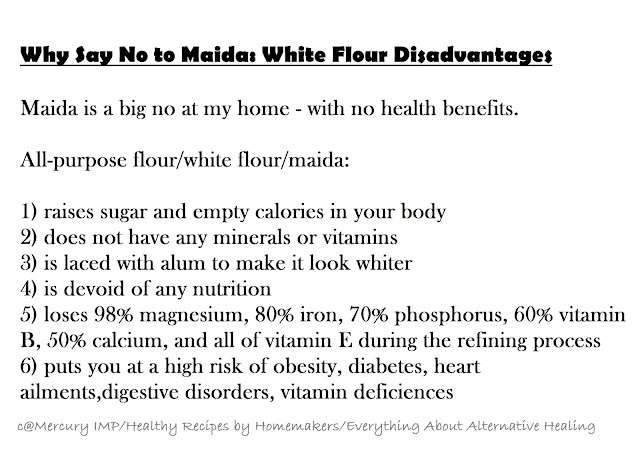 I am happy I try to avoid this kind of bleached flour that only adds empty calories to your body. Baking with whole grains is simple and addictive. 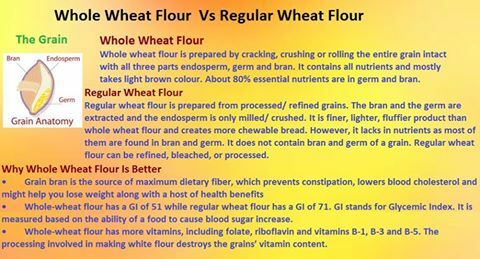 As a health freak, you might want to experiment with different whole grains to find a perfect balance between taste and health. Surprisingly, most of the time, you would end up with dramatic results that give you delectable goodies. 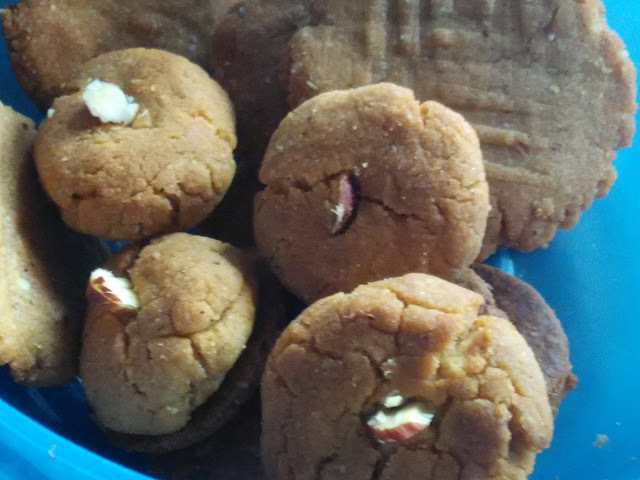 Yes, atta nankhatai, unlike its traditional nankhatai counterpart, is another healthy yet yummilcious blend of whole wheat flour and spices that led it a unique flavor, while clarified butter helps the healthy cookies retain shape and texture. You won't mind gobbling up one cookie fresh from the oven. Sieve flour with baking powder 5-6 times. Mix ghee and sugar. Whisk very well. Add wet and dry ingredients. Combine the flour into dough. DO NOT KNEAD. Just gather the ingredients into a ball. If the dough feels dry, add little amount of milk. Bake for 15-20 mins at 180 degrees. It may take longer. I baked on a skillet (tawa) - Place tawa on a gas stove. Put salt/sand over it. Place a stand and on the stand, keep the baking tray. Make sure there is some distance between the cookies. This will ensure even cooking. Cover with a big vessel so that the wheat nankhatais cook well from all sides. Keep an eye on them after 10 mins. Once done, take them out on a wire rack so they cool down completely before you can store these baked goodies. You may want to try the delectable classics besan nankhatai - chickpea biscuit recipe.